Now days, about 50% of the population are involved in online shopping as you get to see some of the superb deals that are too sitting at home. These days’ online sites give special offers on their apps like if you purchase through amazon app you get special discount offers. 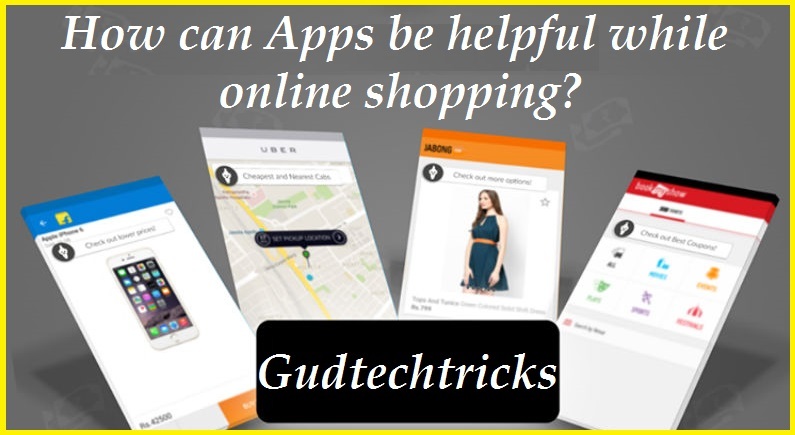 Let us see how apps can be helpful while online shopping. Two of the giant brands in the ecommerce market are Flipkart and Amazon. Last year Amazon was leading in the record of sale in the ecommerce sector, while Flipkart was on the second number. I know you love to shop online and when a thought comes to our mind that we need to buy something the first thing which we do is to open Amazon or Flipkart App. Flipkart had successful Big billion days last year. Numerous people purchased enormous things from them and it is big billion days only Amazon and Flipkart had a very lucky last year. Amazon Great Indian Sale is also one of the events where people do shopping in huge numbers. Amazon and Flipkart have made the shopping easier by their apps. These days’ people prefer mobile phones over laptops as mobile phones are easy to handle. So the big giants like Amazon and Flipkart invented their apps so that people have the ease to do online shopping just by tapping on the app of Amazon or Flipkart. This brought a revolution in the era of ecommerce. Flipkart & amazon’s app only sale are usually there on their apps. In the sale you get special discounts if you are purchasing through their apps like one of the recent offers included 10% off on the MRP if you are shopping through the Amazon app. Also other deals and offers can be seen only when you are shopping from their apps. These steps are just initiatives taken by Amazon or Flipkart to motivate the customers to buy from their apps. The Amazon treasure hunt is one of the activities which Amazon and Flipkart hold regularly to make the customers active in shopping through app. Now let us analyze that what are the benefits of shopping through apps like Amazon and Flipkart. You can find any item on Amazon and Flipkart app. You just think of an item and the item you can find easily on the App. Even if you don’t have anything in mind you can just open the App you can have a look at Lightning deals and Deals of the day in which you get special discount on some items. By looking at the discounted items if you feel the item is apt for you then you can buy the item for sure and that too at discounted price. The apps are very user friendly and you will not find any difficulty in using the app. Also, these days’ grocery and fruit items are also included in the apps which will make your search easier. So this time if you are searching for any item you don’t need to first open Google and type the URL. Just you need to open the app. The last year Amazon and Flipkart have seen good numbers on sale through their apps. It just simplifies the customer’s shopping experience. Also it takes very less usage of internet. So in total it is a good deal for you as it saves your data, time and energy. So, this time if you are searching for anything on Flipkart or Amazon just open Flipkart or Amazon App. You will really be delighted after using the app. Have a great shopping experience ahead. To find latest Flipkart coupons & offers visit Desidime.